Early Japanese CD pressings are often sought after by collectors, who are attracted by the almost certain guarantee of good sound quality and exceptional, by 1980s standards, packaging. The P33P series of Abba CDs issued by Polydor in Japan in 1986 more than lives up to the reputation enjoyed by such early Japanese releases. In all, nine Abba CDs were released as part of the P33P series: all the group’s original albums from Abba to The Visitors plus Gracias Por La Musica and a completely new Greatest Hits compilation. Abba Live, which had yet to be released, was not part of the initial titles but was subsequently added to the range later in the year. These releases are notable on a number of fronts. Firstly, they used completely different mastering to Polydor’s European releases. The source tapes used appear to have been Japanese, judging by Abba’s rejigged running order, which puts SOS at the start of the album. 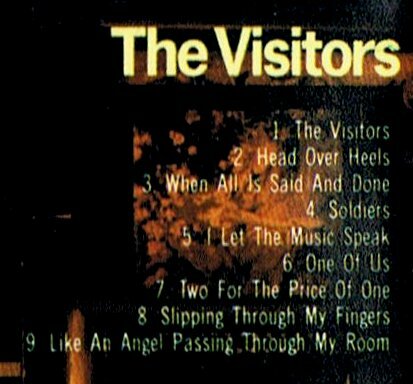 Secondly, the entire series faithfully reproduced the original LPs’ artwork, except with minor changes to the tracklistings to reflect the lack of sides on CDs. Polydor even used the original typefaces (or close approximations) and followed the original LP design layouts with such care that casual observers could easily miss these changes. The back may also look original but…. 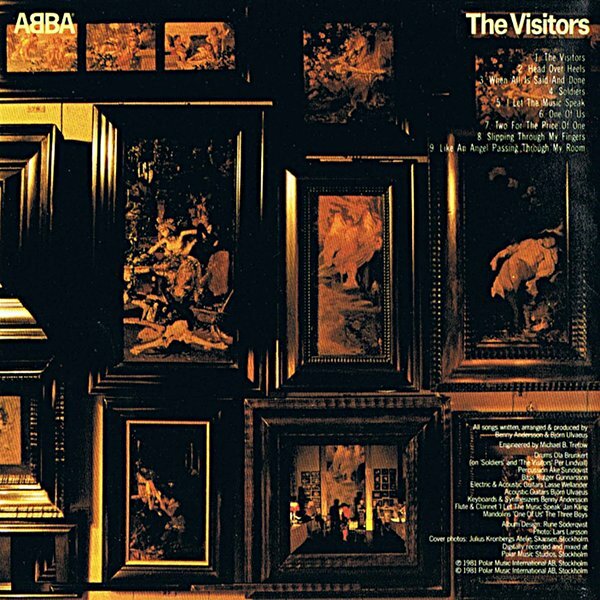 This attention to detail stretched to the CD booklets themselves, which were 30 pages long in some cases, each featuring lyrics in English and Japanese plus an extensive essay discussing the album and its place in Abba’s discography. These exceptional, by 1980s standards, releases remained in print until 1992. The nine titles are also relatively plentiful with the exception of Gracias Por La Musica and Abba: The Album. In monetary terms, they generally tend to sell in the €30 to €40 bracket with obi strips adding a 30% premium to the price. First issued: 1986. Reissue: POCP series in 1992. Deleted: 1997. Titles in range: Greatest Hits* (P33P 20050); Arrival (P33P 20051); Abba: The Album (P33P 20052); Voulez-Vous (P33P 20053); Abba** (P33P 20056); Gracias Por La Musica (P33P 20057); Super Trouper (P33P 20058); The Visitors (P33P 20059); Abba Live (P33P 20076). Reissue titles: Ring Ring*** (POCP-2201); Waterloo*** (POCP-2202); Abba (POCP-2203); Arrival (POCP-2204); Abba: The Album (POCP-2205); Voulez-Vous (POCP-2206); Gracias Por La Musica (POCP-2209); Super Trouper (POCP-2207); The Visitors (POCP-2008); Abba Live (POCP-2210). Name of the Game is not distorted on the original 7″ single release. I have found a mint Polydor single and digitized it adding only a small amount of EQ as it’s slightly dull sounding. The end result is better than the Album version and the remastered Singles Version (Astley) after they found the missing verse at the end of the reel. Originally it was cut for a DJ promo. Does anyone know why they opted for the Spanish version of Fernando at the tail end of Greatest Hits? It’s a bit incongruous. @ Fredrik Augustsson – there also is some distortion on “The Name Of The Game” on the 1986/1992 “The Album” and also the “Greatest Hits” CD – sadly. Pepe also provided me with a rip of the Discomate CD – it also has the distortion present. The best way to get a “unremastered” and good sounding TNOTG is to make it yourself by using the promo edit from “The Singles The First Ten Years” and the 2nd verse from the “Greatest Hits Vol. 2 ” Cd and cutting them together. Speaking about the Japan CD’s the 1992 re-issued “POCP” CD Series gets my thumbs up ven more. The mastering is the same as the 1986 CD’s but the artwok is even more advanced. 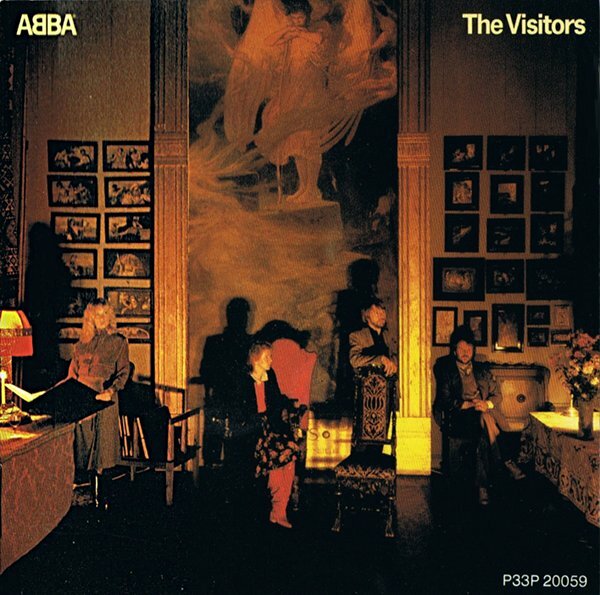 Comparing the 1986 ABBA, Arrival, The Album, Voulez-Vous, Gracias Por La Musica and The Visitors and ABBA Live CD’s to the 1992 versions shows why. I’ve loved reading your “Audiophile ABBA” postings and have a question regarding “The Album”. Is the same distortion present on the A-side tracks on the Japanese P33P-release as well? Do you know? In 1992, Polydor Japan reissued all of the titles above except “Greatest Hits” at a lower price and with POCP catalog numbers. The reissue discs have the P33P matrix number stamped on them, so I presume the mastering is identical. It is my understanding that these discs were in print for five years, until 1997, when Polydor Japan replaced them with the remasters released in other territories, so they are not hard to find and are generally less expensive than the P33P discs. P.S. The 1992 POCP series added “Ring Ring” and “Waterloo” — don’t know what the sources were for these two titles.